She watched through the window as he got out of the tractor and crossed the yard. He came into the kitchen, catching the screen door before it banged shut. The farmer walked out onto the porch. He noticed the clouds of dots descending on wheat fields. They made a low hum, billowed like smoke. 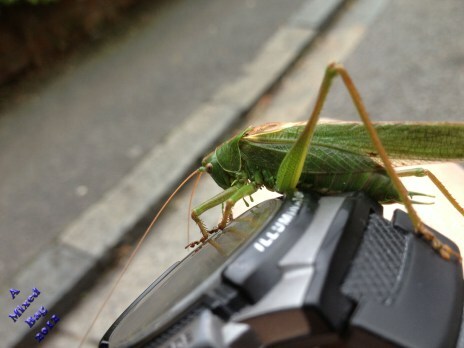 “What the hell?” he said as the grasshopper landed on his wrist. Wait until he gets to the Book of Joshua. Great story! They need to keep a closer watch on the boy! Reminds me a bit of Damien Thorn from the Omen (great films). I enjoyed this story, and I think they should keep a eye on him. I loved the build and the take on the photo. I do wonder, however, do you ever write light-hearted fluff? I’d like to see that sometime. Oh, sometimes. But in such a short form I like to create impact. This is one of my few forays into supernatural horror.